In 2009, Airfix, the most famous plastic model construction kit company in the world, celebrates its 70th birthday. In addition to the history behind the models, from the first Airfix kit - a model tractor - right up to today's exciting Doctor Who releases, it tells the story of the dramatic twists and turns of the Airfix saga. In 2009, Airfix, the most famous plastic model construction kit company in the world, celebrates its 70th birthday. 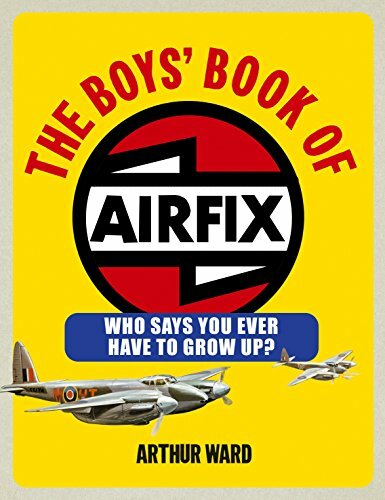 Founded in 1939 by Hungarian Nicholas Kove, Airfix holds a unique appeal for boys (and girls) of all ages and has been part of the fabric of childhood for generations. Packed with photos of the kits from the 1950s to the present,The Boys' Book of Airfix is a nostalgic look at one of the greatest brands ever. In addition to the history behind the models, from the first Airfix kit - a model tractor - right up to today's exciting Doctor Who releases, it tells the story of the dramatic twists and turns of the Airfix saga. In the autumn of 2006 it looked as if the great name might disappear for ever when its owners languished in receivership, only for the company to be heroically rescued by Hornby. If you were ever responsible for sending an Airfix Messerschmidt to a fiery doom from your bedroom window, this book is for you!